We're Here To Help.org » Choosing the right type of home loan: In Today’s Sacramento Real Estate Market, Which Home Loan is Best For Me? Choosing the right type of home loan: In Today’s Sacramento Real Estate Market, Which Home Loan is Best For Me? How do I Decide on a Home Loan? Sacramento Home Buyers frequently ask me if What Type of Home Loan Should I Get? Choosing the right type of home loan is an important part of the process. There are a few things you should be clear on as a home buyer, even before you Decide on a Home Loan. So having the right Lender, the right Agent and choosing the right type of home loan becomes critical in this competitive real estate market. All of these scenarios and choices will need to be considered as you and your mortgage lender Discover Which Loan Program Works Best for you. The conventional 30-year fixed loan may not be for you. Consider and compare all the options. There are hundreds of mortgage products out there, so be sure to find the right one for your needs. Before you approach any lenders, figure out your financial strategy. Now that you have a reasonable picture of your financial philosophy, shop around and evaluate your options. Don’t rush into the first loan offer you get. Choose a longer loan term, such as 30 years or more. The longer your amortization period, the lower your monthly payments would be, but the more interest you’d pay. If you borrow $100,000 at 8 percent interest over 30 years, you would pay $164,000 in interest along with the principal by the end of the term. Your mortgage payment would be $733 a month. A 15-year mortgage, in contrast, would require a $955 monthly payment. Skip the down payment and go for an “80-20” loan. A standard loan funds the first 80 percent and a second loan with higher interest rates finances a 20 percent down payment. This option also gets rid of private mortgage insurance, or PMI, which is typically required for homes bought without 20 percent down payments. 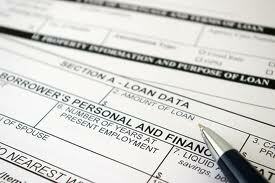 PMI protects the lender in the event that a borrower defaults on a loan. Consider an adjustable rate mortgage (ARM) if you want to keep some cash or take advantage of a low interest rate. The rate is fixed for the first few years, then begins floating. But be aware of market conditions – if rates rise, so do your payments. This option makes sense for serial relocators, who don’t plan to be in a home for more than five years. A three or five-year ARM lets you make low payments and gets you through the typical mortgage cycle. If rates drop, you can refinance. If rates rise, you can sell. Interest-only mortgages also let you keep more cash. They do not require principal payments during an initial period, typically three, five or 10 years. After the initial period, borrowers must begin repaying principal over the remaining life of the loan. By comparison, a traditional amortizing loan requires principal and interest payments from day one, with more of the monthly payment going to interest in the early years and to principal in the later years. Homeowners can lower their monthly payment by 20 percent to 25 percent by skipping principal payments in the early years, but they must be prepared for a big jump in payments when the interest-only period ends. A lower initial monthly payment may also allow you to qualify for a bigger home loan. The downside? When housing prices fall, you could end up owing more on your home than it’s worth. To qualify, you normally must have good credit or pay a slightly higher fee or interest rate. Balloon payment mortgages are short-term, fixed-rate loans that involve small payments for a certain time period and then one large payment (the balloon payment) for the remainder of the loan. If you don’t like debt and risk, you may want to stick with conventional loans with fixed rates and shorter terms, making big down payments and extra principal payments whenever possible. If you go with a 30-year mortgage, you could refinance after 10 years. You could get a lower rate and dramatically reduce your principal balance in a shorter period. Build your Home Purchase Team! Having the right Lender, the right Agent and the right type of home loan becomes critical in this competitive real estate market. Team- find the a great lender, a great Agent and start learning- meet with working with a mortgage broker. Decide if you’re willing to pay for points to get a lower interest rate, or take a higher rate to keep closing costs down. Combine different loan features to create a loan that’s comfortable for you. Factor in costs like property taxes, insurance and homeowner’s association fees. Will your lender hold these in escrow? Ask about alternative loan terms, such as 20 years, 15 years. They exist though many lenders don’t advertise them. Consider refinancing your current home if you need cash for a second home. Buying or selling a home is a huge project. Get educated and take your time- interview several professionals in each area where you will need a consultant and advisor- Real Estate Agents and Mortgage Lenders are not all created equal! Before you interview us, listen to Listen to what our past clients and what you have to look forward to! Then, give us a call, text, or email! p.s. Do you know what your home is worth? Forth does! This entry was posted on Thursday, October 2nd, 2014 at 11:36 am	and is filed under Sacramento Short Sale and Sacramento Foreclosure News. You can follow any responses to this entry through the RSS 2.0 feed. You can leave a response, or trackback from your own site.